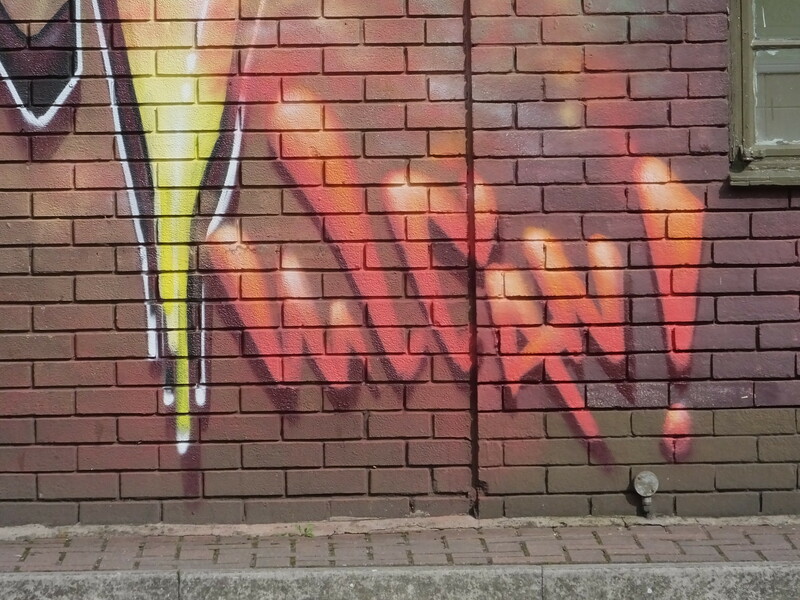 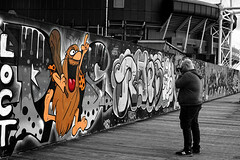 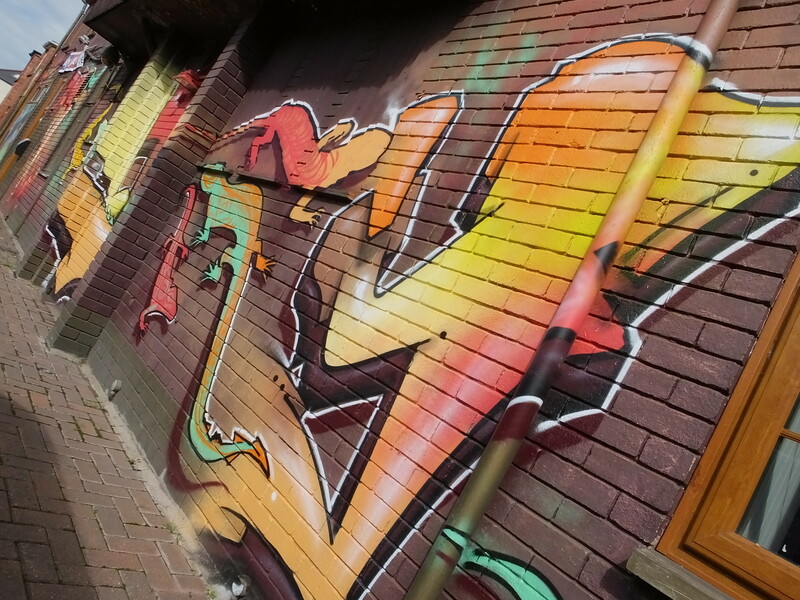 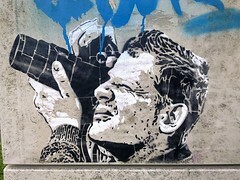 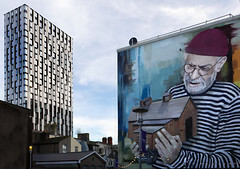 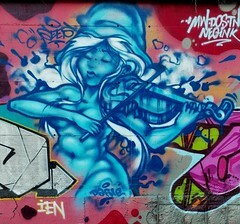 September heralds the start of the new academic year and the arrival of a whole new batch of freshers to the City along with a whole new batch of street art brightening up the student quarters too. 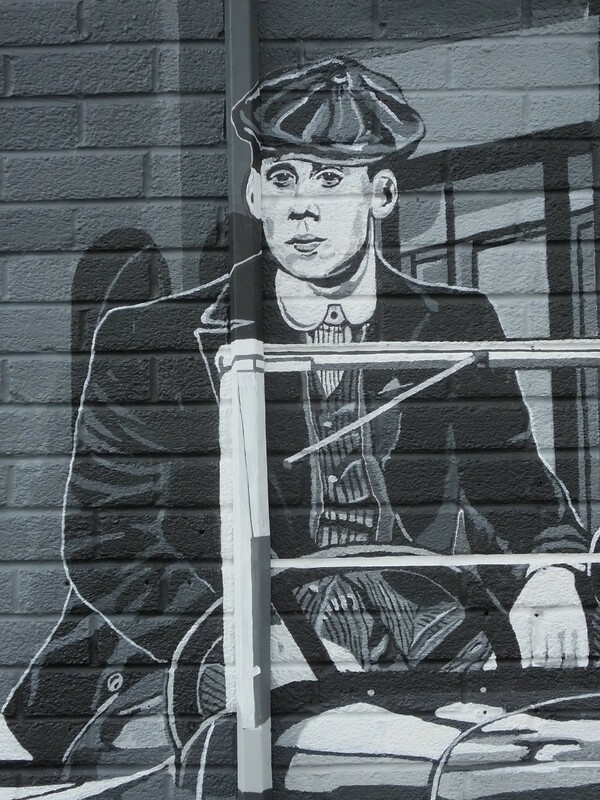 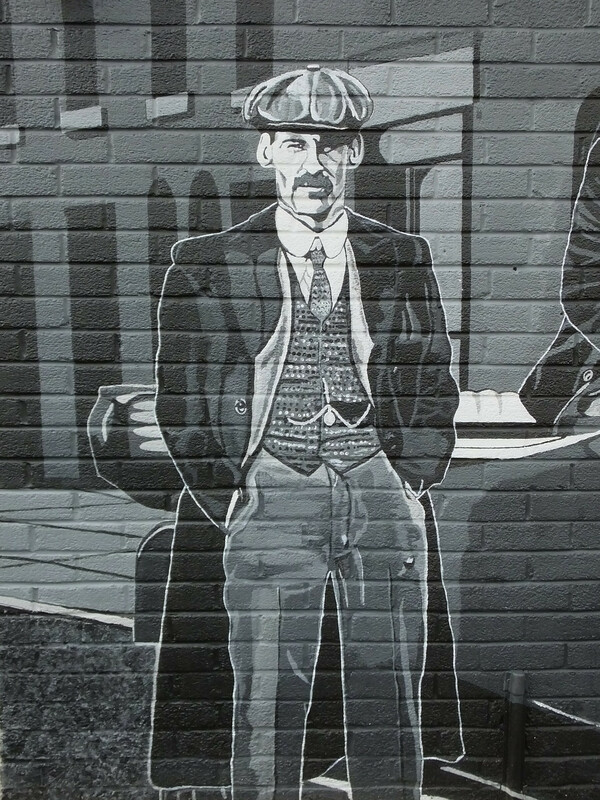 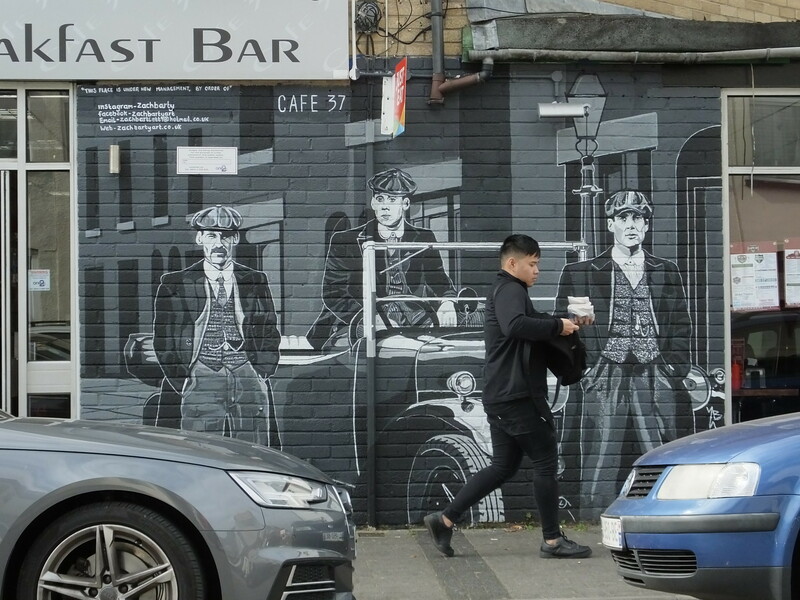 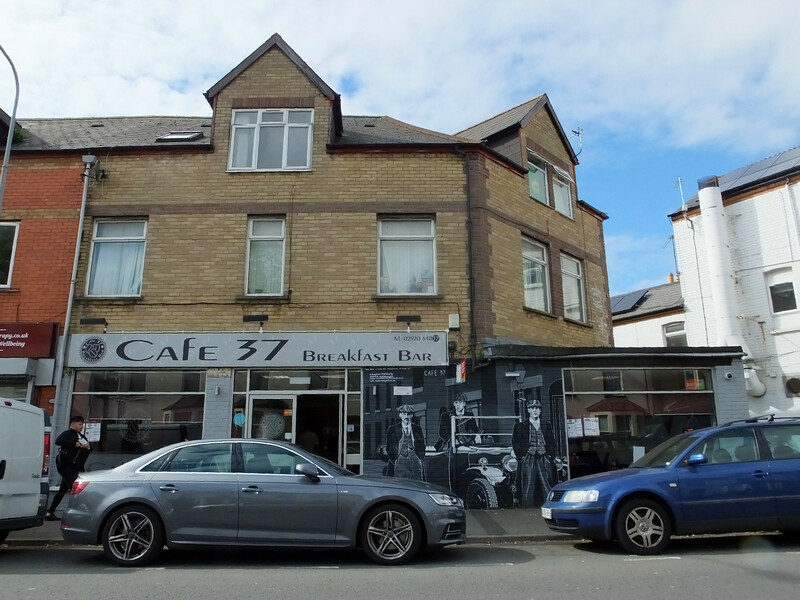 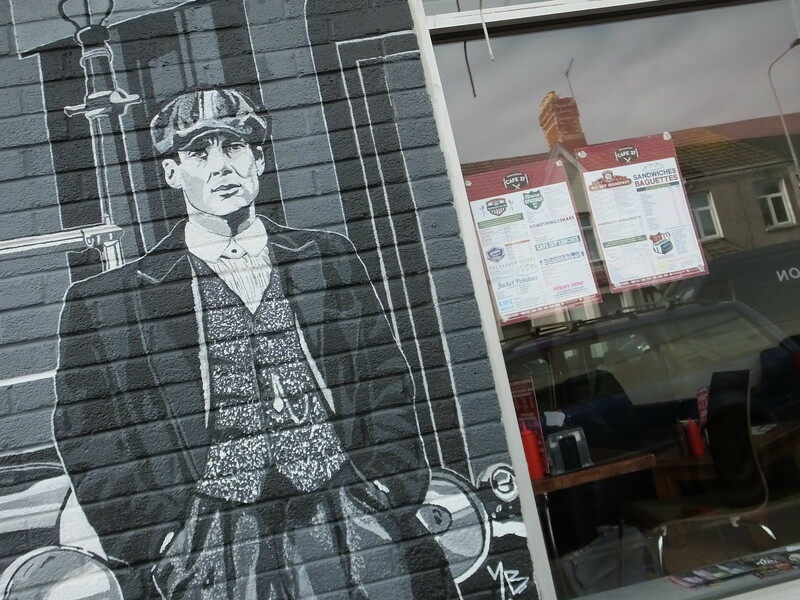 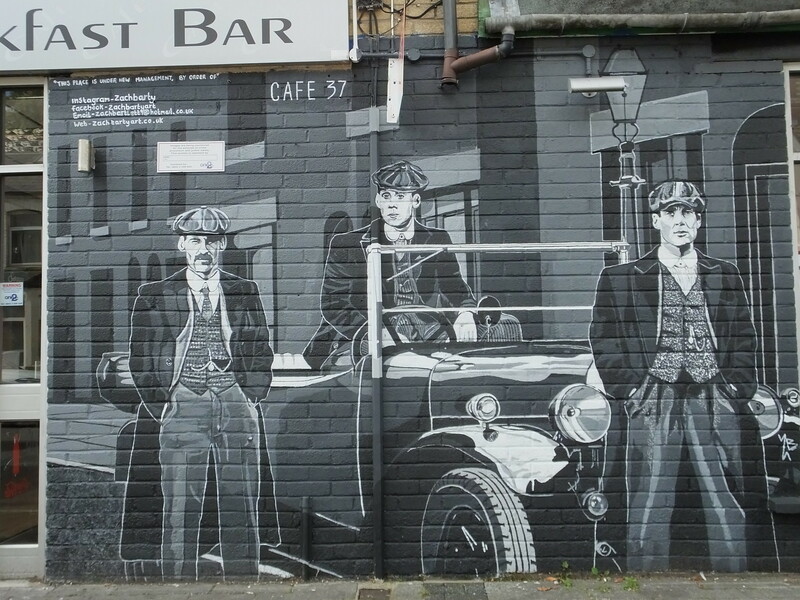 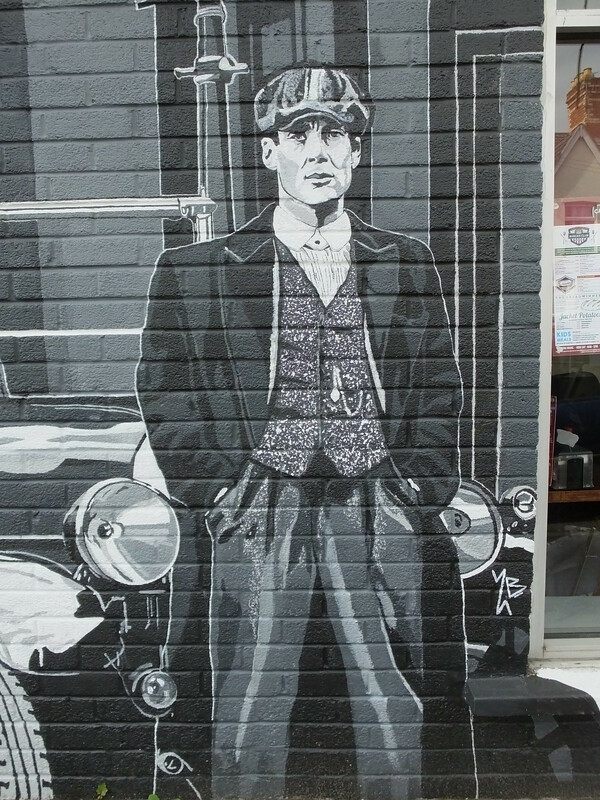 First up is this monochrome interpretation of the BBC drama Peaky Blinders featuring three of the main cast painted by Zach Barty on the side of Cafe 37. 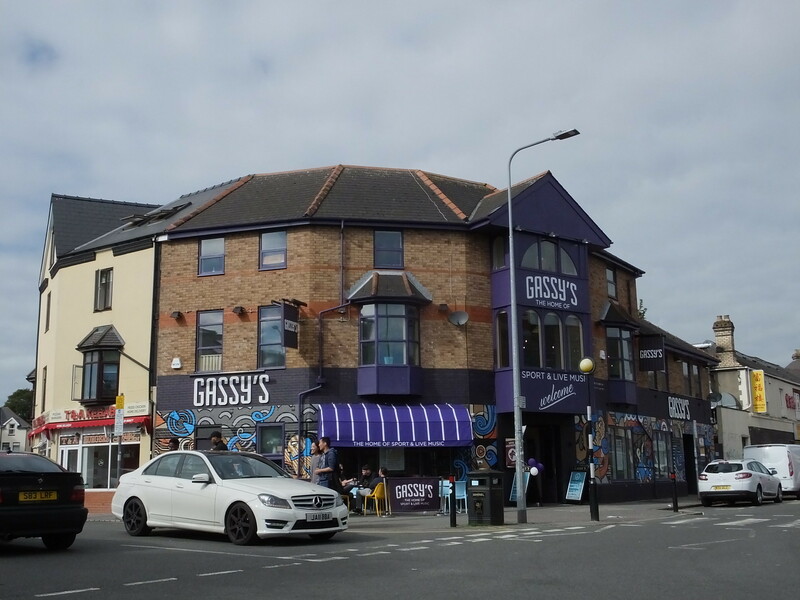 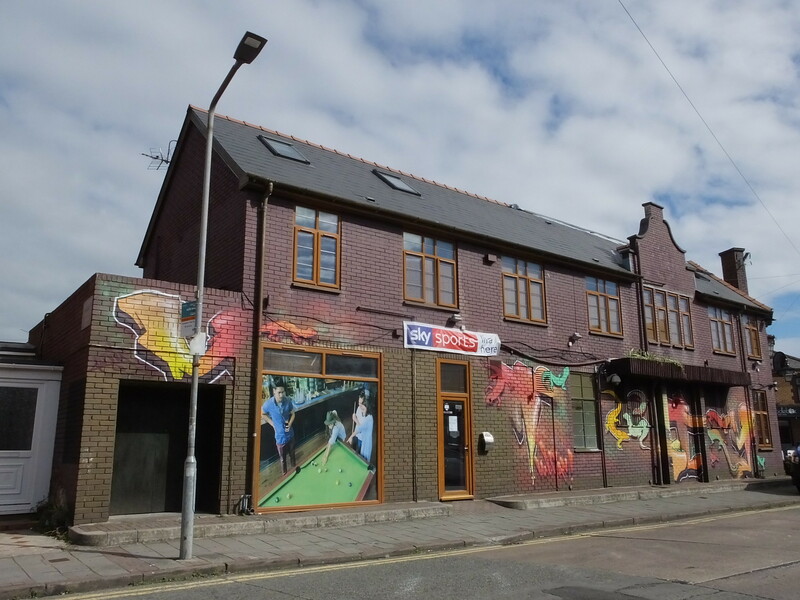 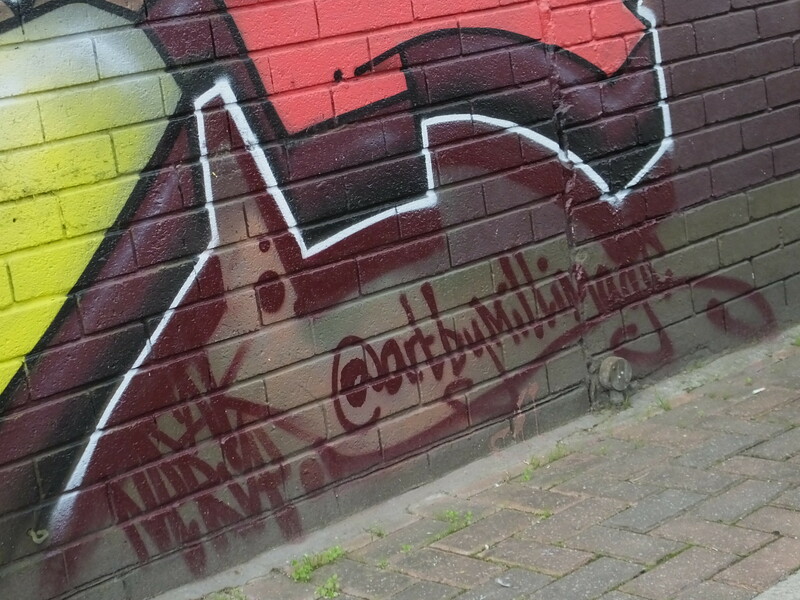 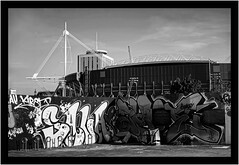 Salisbury Road in the Cathays part of Cardiff has always attracted some attention from the street art and graffiti world but this year it seems the bug has really taken over with so many venues all getting a makeover including the pub Gassy Jacks and Locos too. 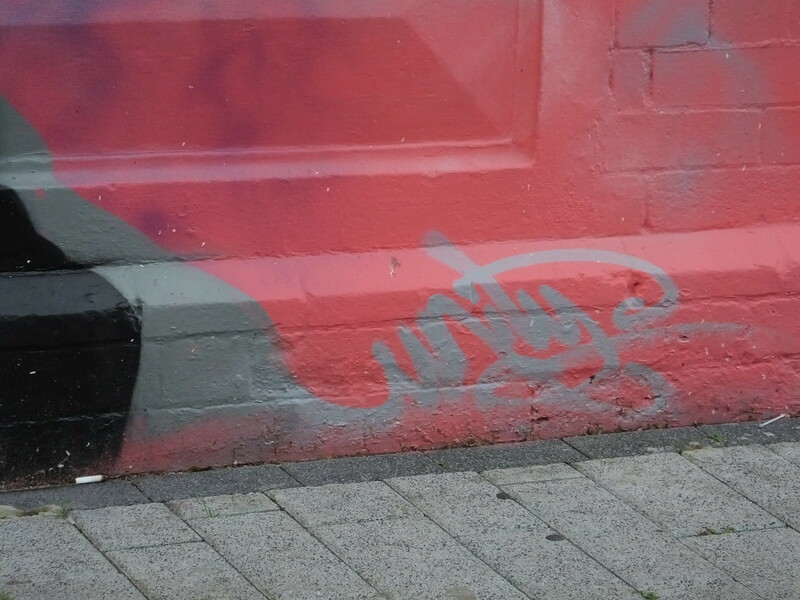 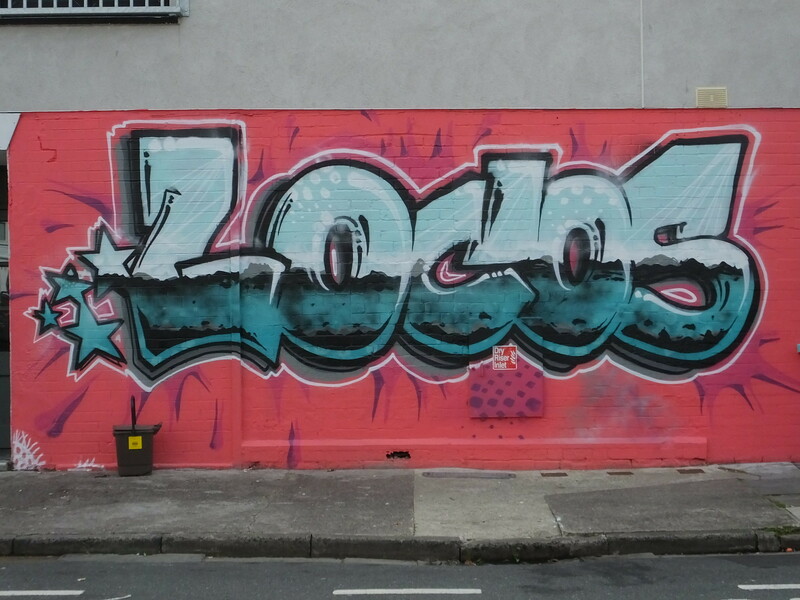 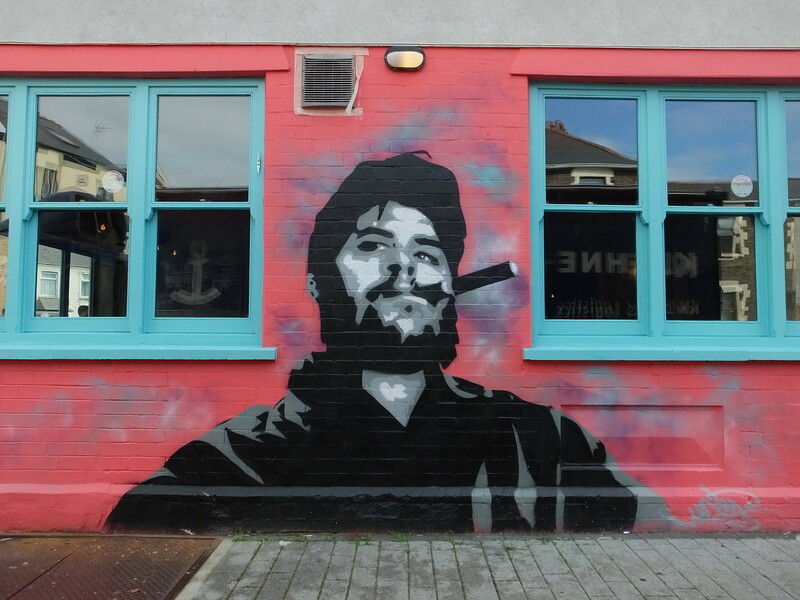 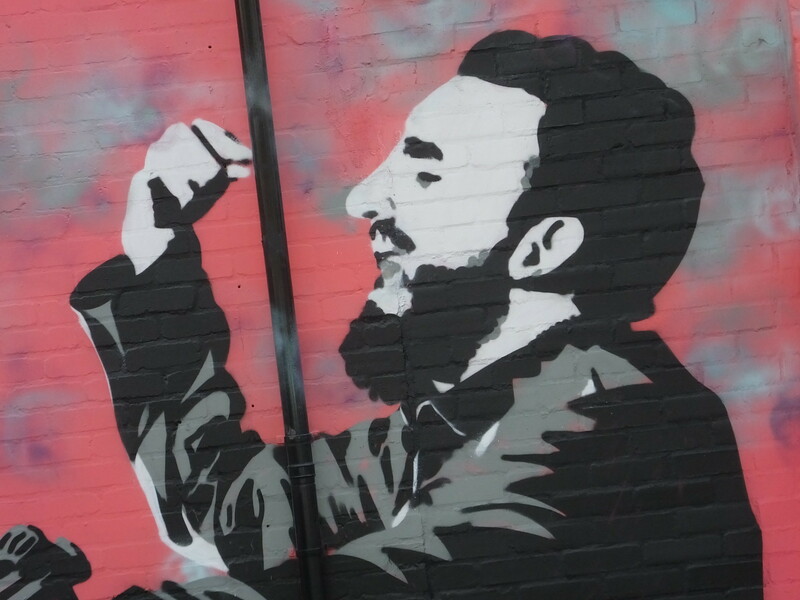 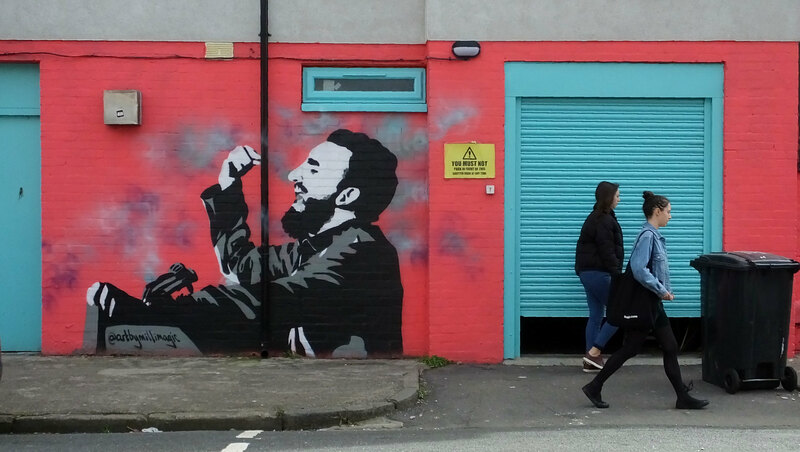 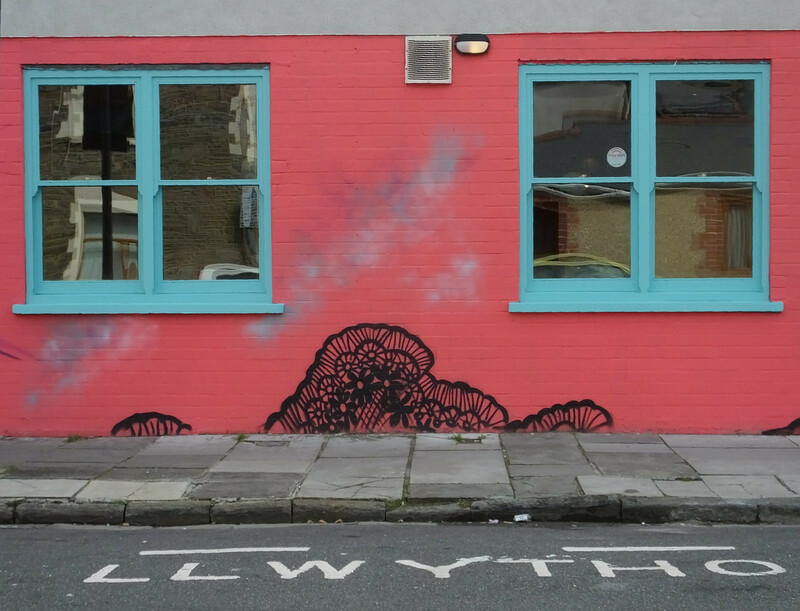 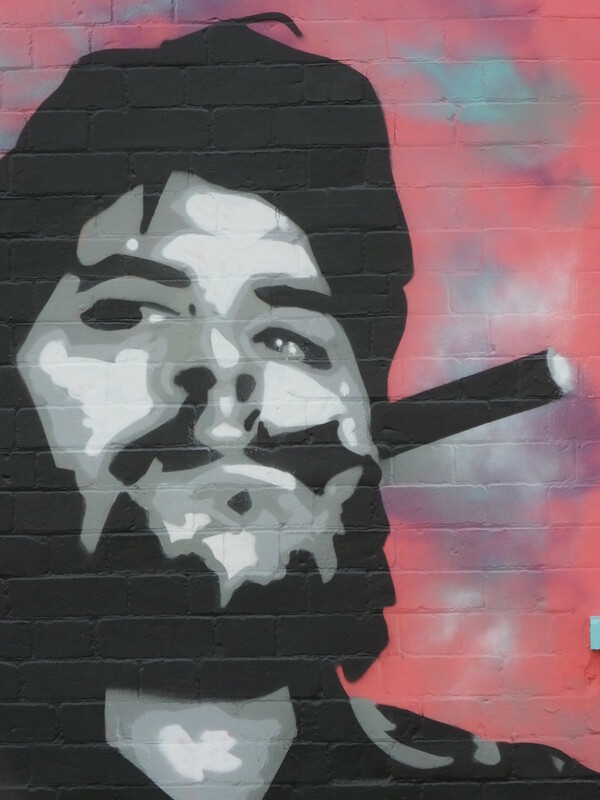 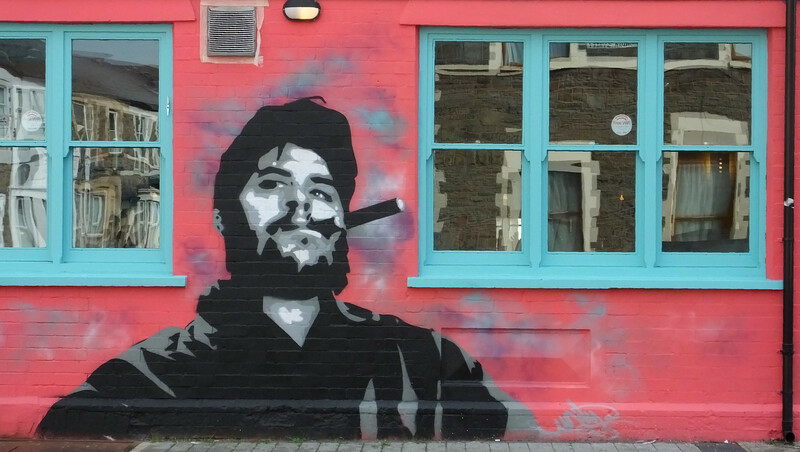 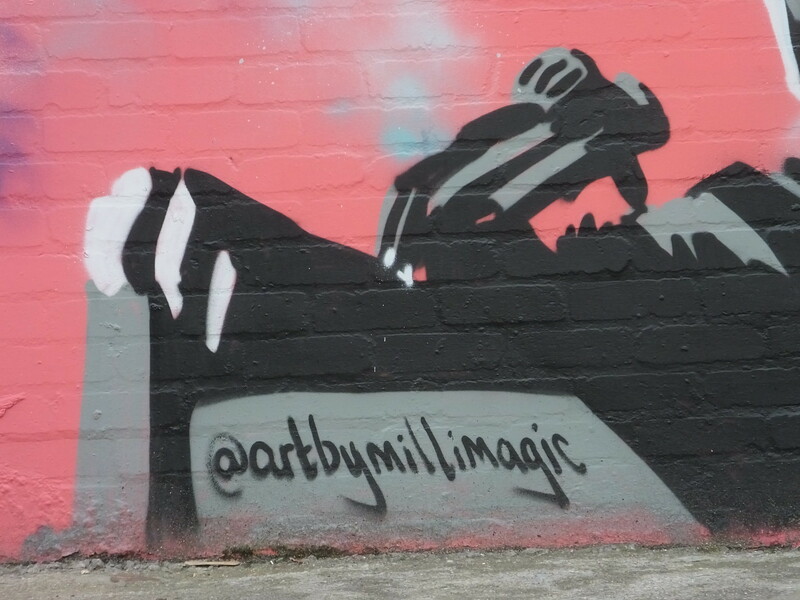 Local artist Unity/Millimagic along with ‘Arnold’ had been commissioned to paint the new Locos venue in a vibrant pink and teal colouring complete with some amazing stencil-like work of Fidel Castrol and Che Guevara. 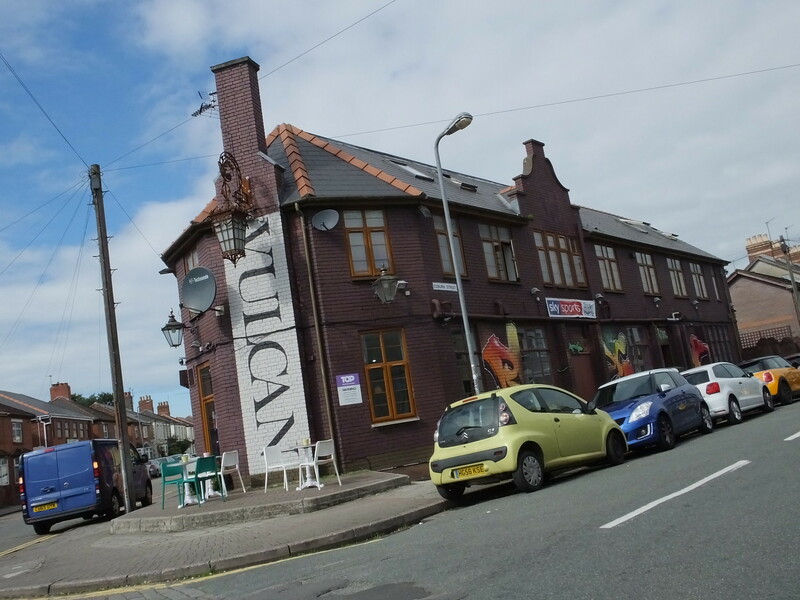 Further along the road is The Vulcan pub which has always had a textured brown brick exterior until this year’s makeover courtesy of Unity/Millimagic and Resh. 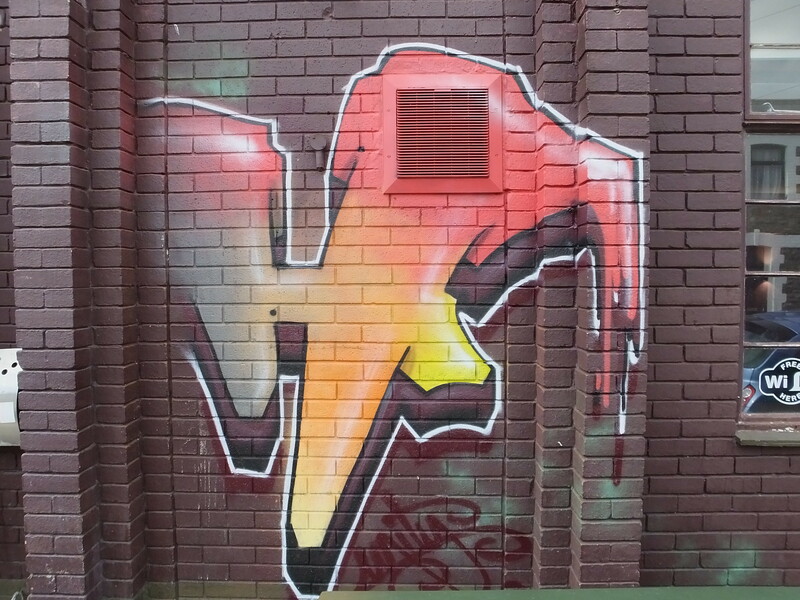 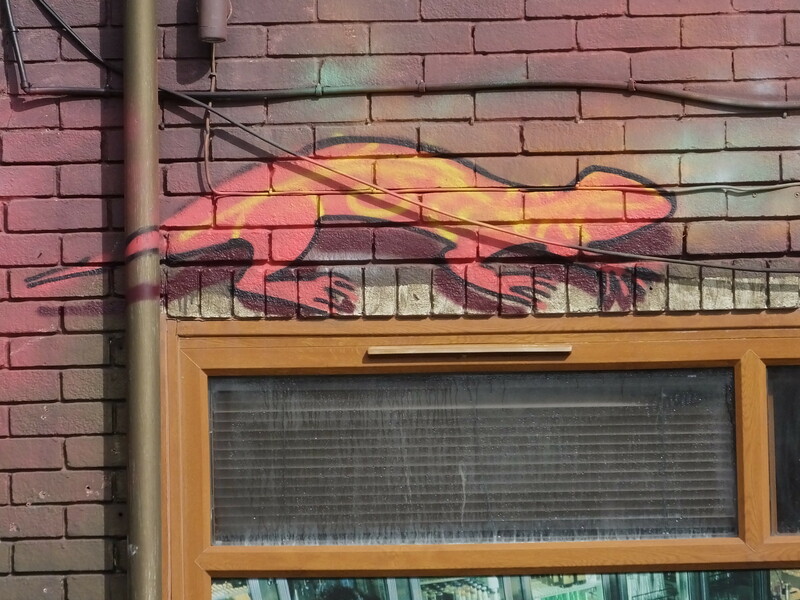 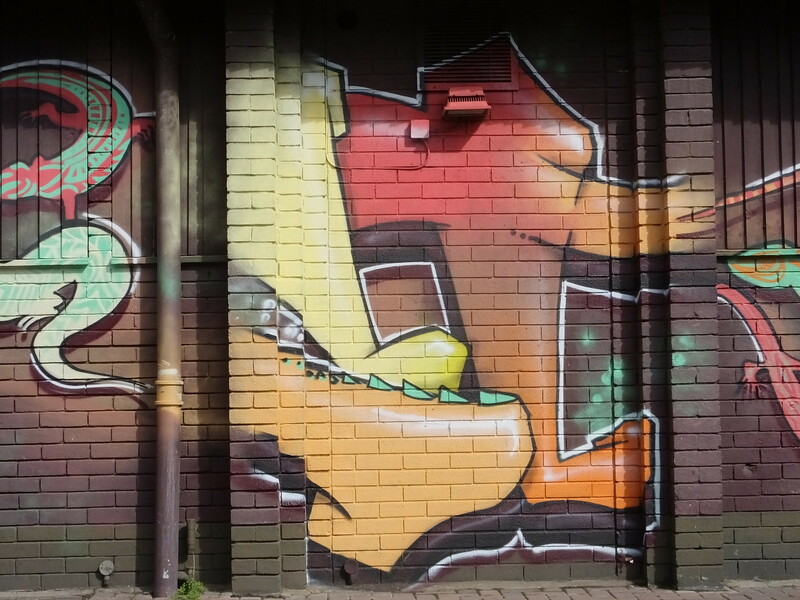 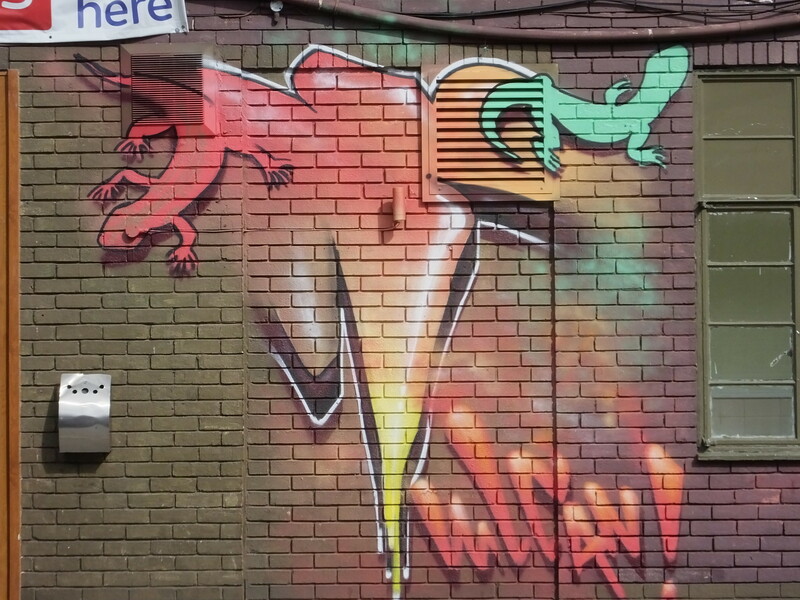 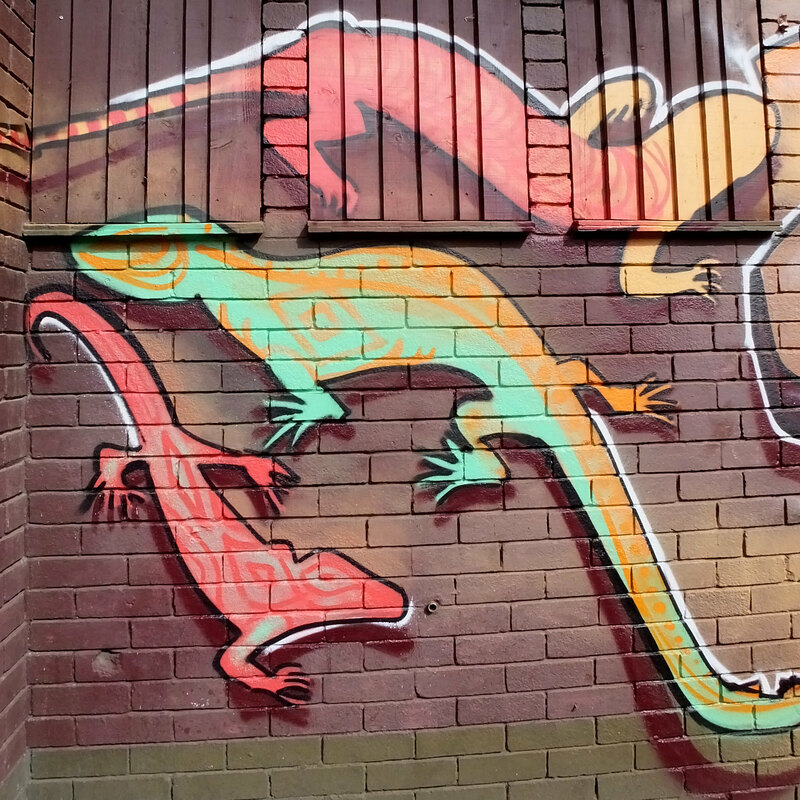 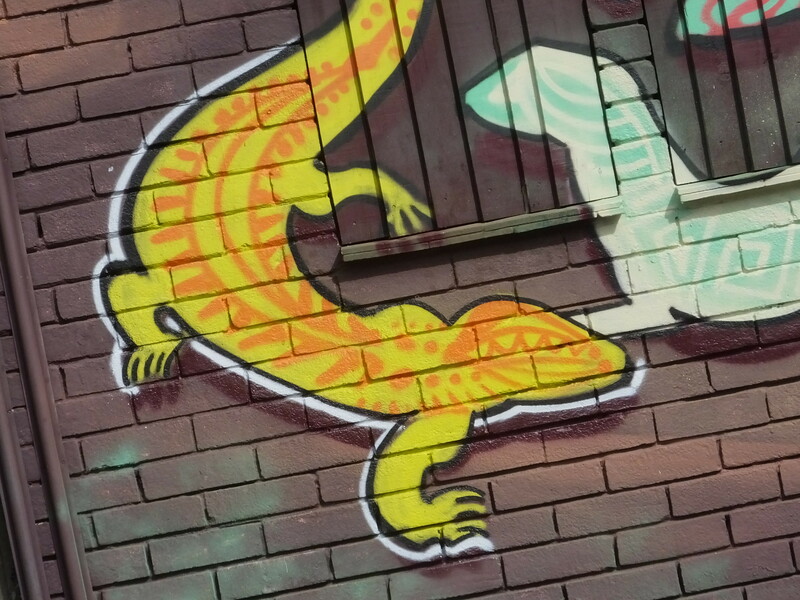 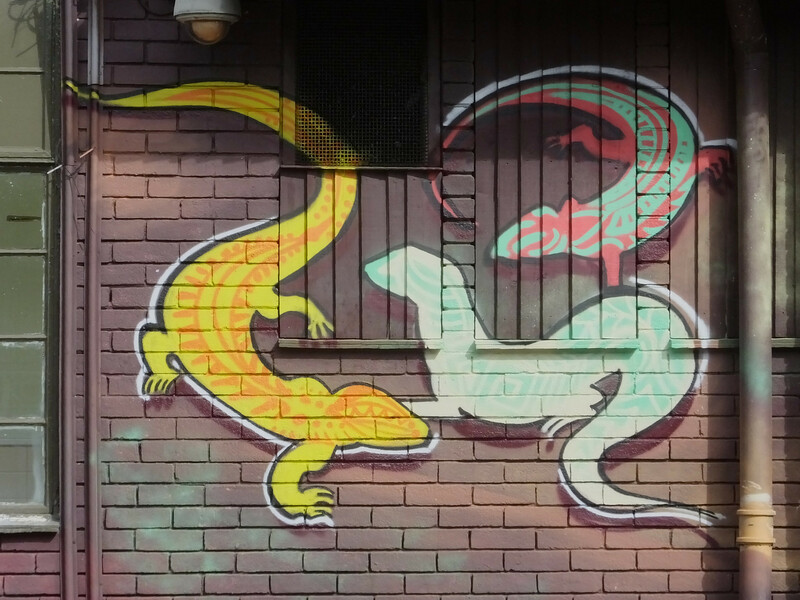 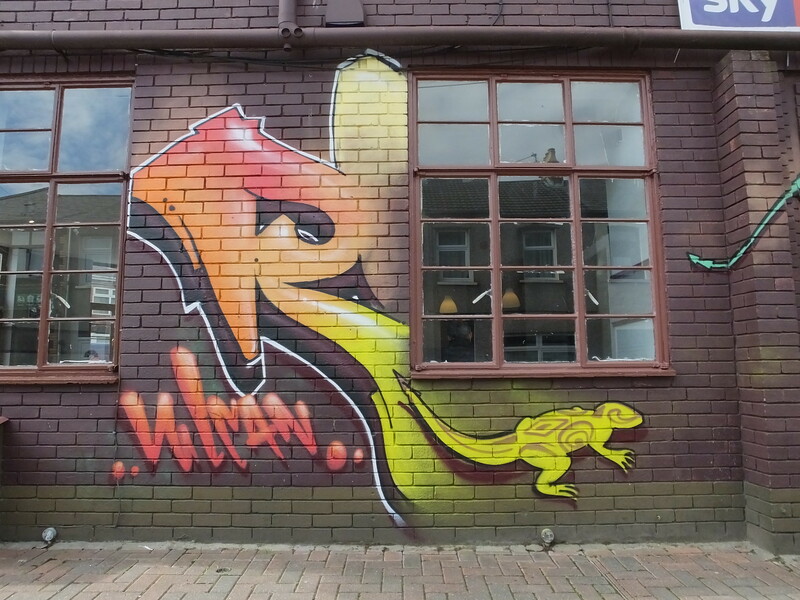 The artists painted a combination of lizard type creatures around each side of the large structure in warm tropical colours along with the name of the venue too. 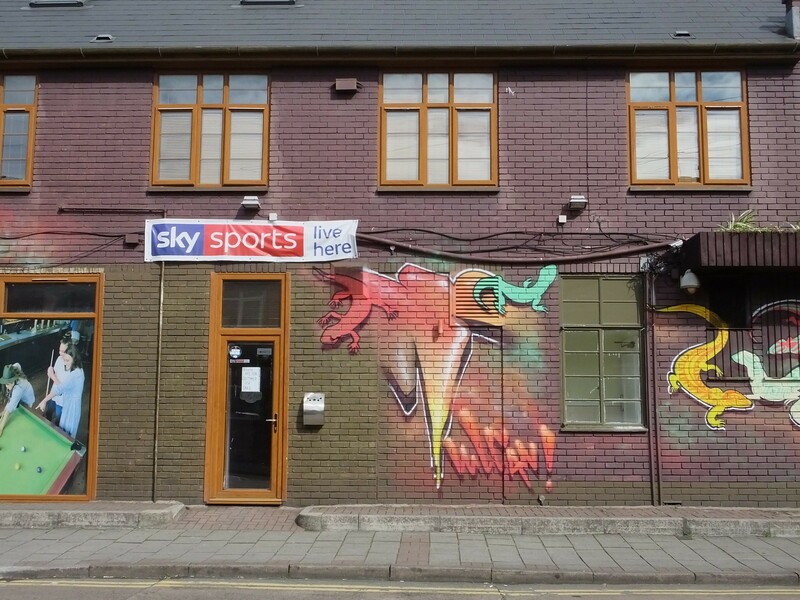 Not instantly apparent but along each side of the pub are portions of the letters making up each of the artists names ‘Unity’ and ‘Resh’. 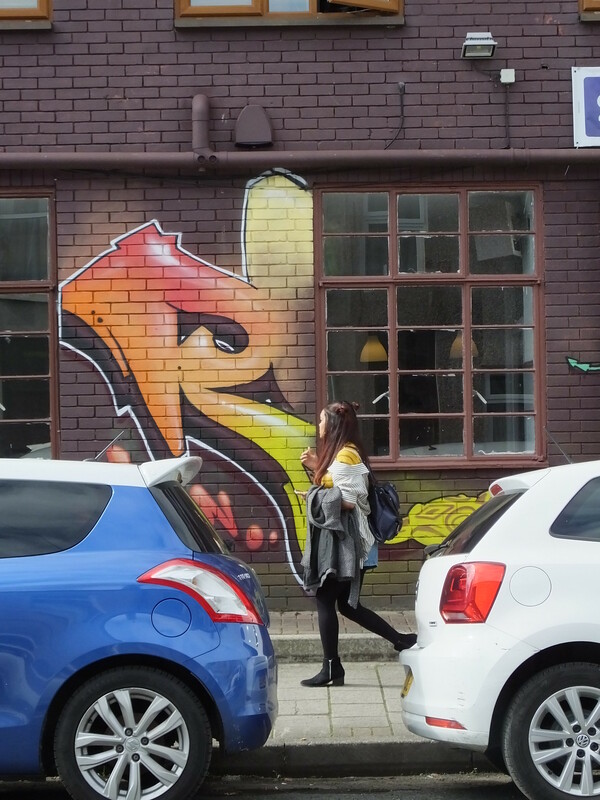 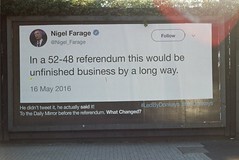 There really is some amazing work that has made this area something special to wander around – for students and locals alike!